This message from the "vice president" of the Philippines was originally posted on LeniRobredo.com. You know why there is no outrage or fear from the general public despite your daily "warnings" of martial law? Because most Filipinos would rather have a dictatorship under Duterte than fake freedom under another LP-led government. Harsh, but true. For your sake, I hope you understand just how unwelcome the LP is in this country. Nobody wants Martial Law, but if Filipinos were pushed into a corner, and asked to choose between the grey void of a Duterte dictatorship and the swirling blackness of an LP-led government, madam, millions would jump into the grey void faster than you can say "Nakakaririmarim." I'm sure there's a part of you that will understand why a homeless survivor of Typhoon Yolanda would rather choose Duterte over you, even if you represent all "Cory-ish" (image projection) qualities--saintly, kind, pure--and he represents the exact opposite. I'm sure you won't take it against the Filipino people who are waiting for the free tuition/hospitalization with bated breath if they chose someone who can deliver. Aminin natin, if your own life were in danger, you would choose a Duterte over a Leni, di ba? You really want the best for this country? Then cut the strings that tie you to your useless, greedy, manipulative party. You want the best for this country? Then play fair! Call out your partymates like Leila de Lima and other LP lawmakers reportedly involved in drugs. Call them out if you really work for the people and not for the LP party. OK lang sa inyo as a lawyer and as a VP na bastos si Leila at hindi pinapansin ang summon? As an elected official of this country and the leader of the political party of which she is a member, you should also use your voice to berate your own members, or anything else you say loses its power because you have lost credibility, favoring a few. When the day comes that many of us decide to fight Duterte when and if he abuses his power, we would want to do it alongside a real hero of the people, not a puppet who will just shuffle us along from one tyranny to the next. Tagalugin ko na lang para malinaw: SUKANG SUKANG SUKANG SUKA NA KAMI SA LP. KUNG HINDI HO KAYO LALAYAS SA LP, WAG NA HO KAYONG UMASANG SUSUPORTAHAN NAMIN KAYO KAHIT KAILAN. MAGHAHANAP NA LANG KAMI NG IBANG HIHINGAN NG TULONG. And yes, stop, please. All these everyday statements make you seem lamer and lamer and lamer by the minute. Use your voice for real opposition. The more you talk, the more you dilute its power. Hindi ho namin kailangan malaman ang running commentaries ninyo. Nakakaririmarim. Response to Robredo ululation by Krizette Laureta Chu as posted on Facebook. 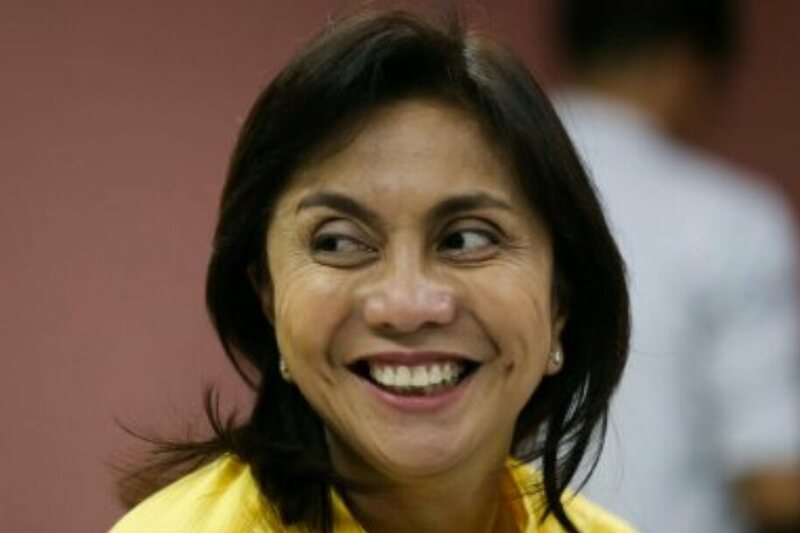 Ululation is an apt discription of current VP Robredo's commentary on the proposal of Mayor Digong that the Martial Law provision in the present constitution made under the Cory Government be amended to make it more responsive to unfurling danger in the global arena. So it is going to be in accordance with law, and not what the current VP is trying to paint which is an ululation of a propaganda spewed by the Yellowgarchs!